If you have a web site... don't wait even one minute before checking out: Call To Action: How to Improve Your Conversion Rate. The authors sent me a copy a few weeks ago, but I was too busy writing my ebook to read this. A shame, because I could have stolen countless ideas from them. It's filled with all the facts and details and case studies that I was far too lazy to include in my ebook.Despite the godawful cover, this book is an astonishing bargain. 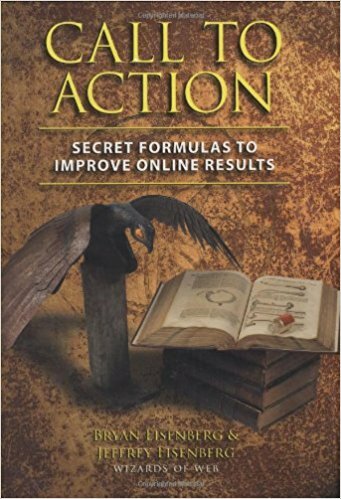 The book is straightforward and gives you direct, clear insight into what's wrong with your site and what to do about it. No fancy metaphors or engaging banter. Just the nuts and bolts and the facts to back them up.I can't conceive of a website that won't benefit from the ideas inside. Still reading this blog? Stop! Go check out this book. What others thought about "Call to Action"